General Motors headquarters in the Renaissance Center. A government safety agency is fining General Motors $7,000 a day, saying the company failed to fully respond to its requests for information about a faulty ignition switch by an April 3 deadline. The National Highway Traffic Safety Administration said in a letter to GM on Tuesday that the company already owes $28,000 in fines, and they will accrue at $7,000 per day until it provides all the requested information. In February, the agency began investigating whether GM was slow to provide information and respond to problems with the switch that has been linked to at least 13 deaths. GM has admitted knowing that the switch was defective at least a decade ago, but failed to start recalling 2.6 million compact cars worldwide until this year. In a two-page letter to GM North America vice president and legal counsel Lucy Clark Dougherty, NHTSA's chief counsel, O. Kevin Vincent, said the company frequently stated that it did not respond to all the agency's requests because of an investigation being done for GM by former U.S. attorney Anton Valukas. But Vincent objected, saying GM's reasoning wasn't valid. "Mr. Valukas' investigation is irrelevant to GM's legal obligation to timely respond to the Special Order and fully cooperate with NHTSA," he wrote. The fines are a sign of a deepening rift between GM and the safety agency. During congressional hearings last week, NHTSA Acting Administrator David Friedman blamed GM for a failure to act sooner to warn consumers about the faulty switches. Friedman testified that GM had information connecting defective switches to the non-deployment of air bags, but didn't share it with the agency until last month. GM said in a statement that it has fully cooperated, and will keep providing responses as soon as they are available. "We will do so with a goal of being accurate as well as timely," the statement said, giving no indication of when GM would fully comply. 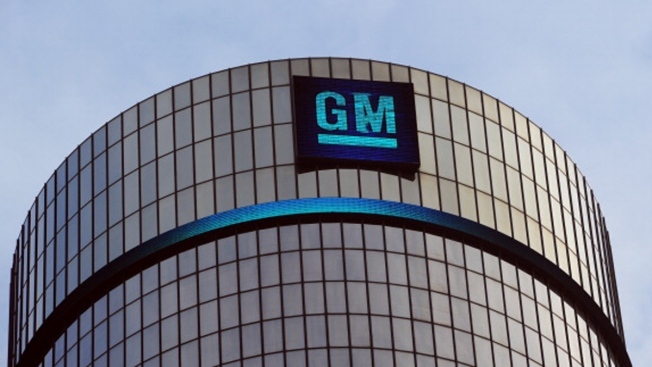 GM said it has produced nearly 21,000 documents totaling over 271,000 pages. Vincent did acknowledge that the safety agency had agreed to extend the deadline on certain technical questions, but criticized GM for failing to answer questions that weren't technical in nature. He said there were several unanswered questions about the approval of changes in the suspect ignition switch. NHTSA told GM that it was aware of GM's approval of a design change on April 26, 2007, and the agency asked the company if there were any other changes. But Vincent's letter said GM did not answer the questions. "It is deeply troubling that two months after recalling the vehicles, GM is unwilling or unable to tell NHTSA whether the design of the switch changed at any other time," Vincent wrote. On March 4, NHTSA demanded from GM pictures, memos, electronic communications, engineering drawings and other data to answer 107 questions about the recall. The reply, which must be signed under oath by a company officer, was due last Thursday. Vincent's letter says that if GM doesn't fully comply and hand over the information, the agency could refer the matter to the Justice Department, which would seek a court order to comply with the request as well as civil penalties. GM says the ignition switches can slip from the "run" position to "accessory" or "off" while the cars are being driven. If that happens, drivers lose power-assisted steering and brakes and the air bags won't inflate in a crash. In many crashes linked to the problem, drivers inexplicably lost control of their cars and veered off the road or into other vehicles. The vehicles being recalled include: Chevrolet Cobalts and Pontiac G5s from the 2005 through 2007 model years; Saturn Ion compacts from 2003 through 2007; and Chevrolet HHR SUVs and Pontiac Solstice and Saturn Sky sports cars from 2006 and 2007. Most of the cars were sold in the United States, Canada and Mexico.